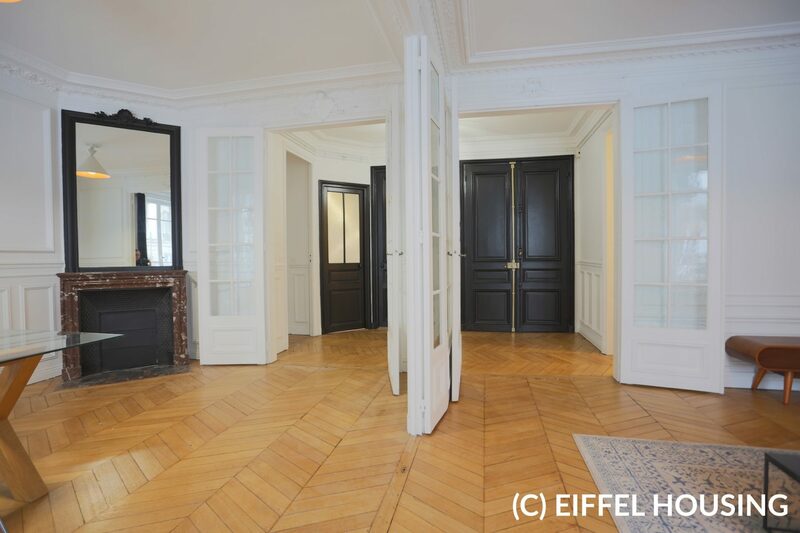 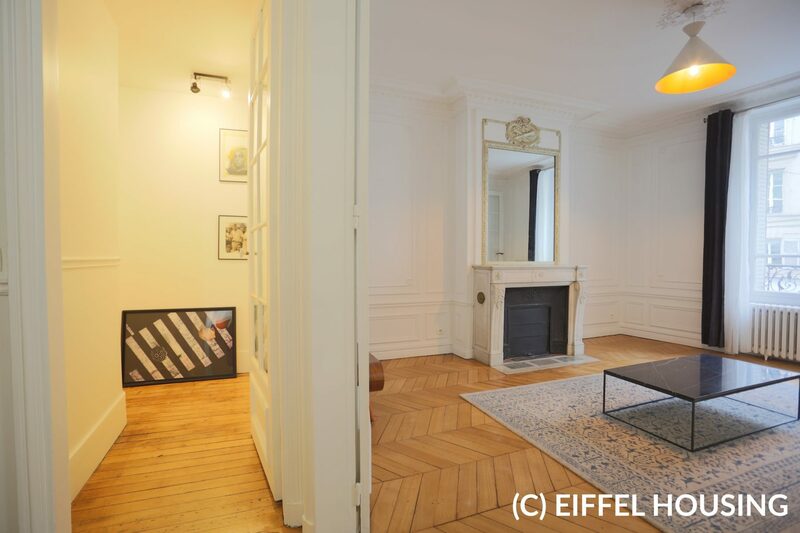 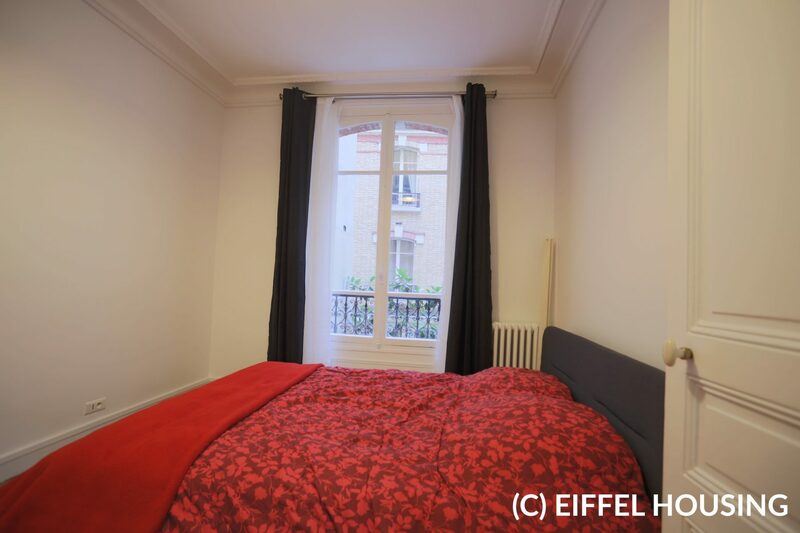 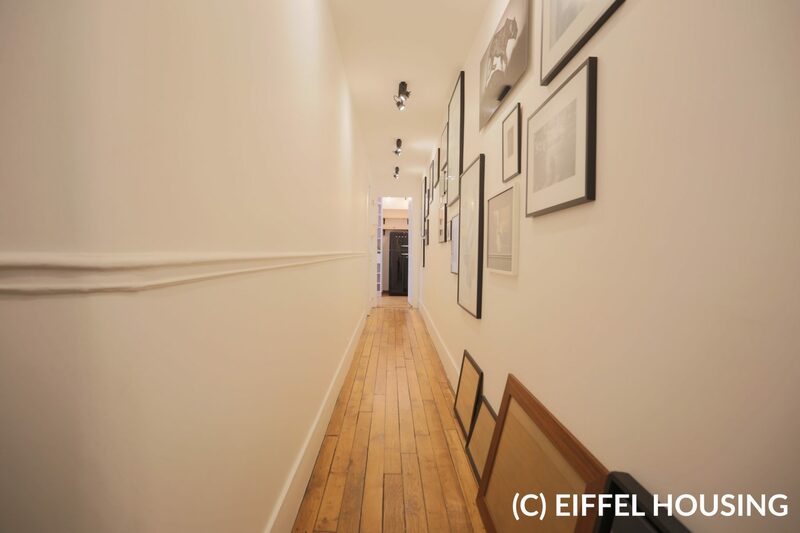 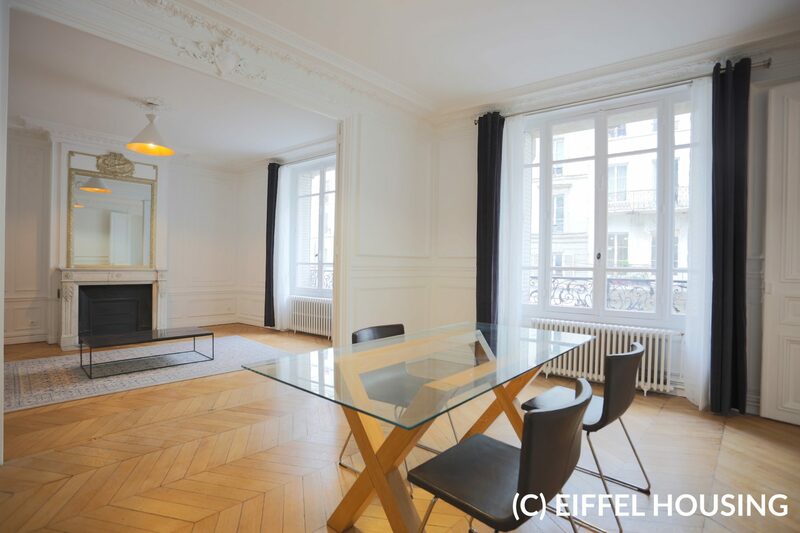 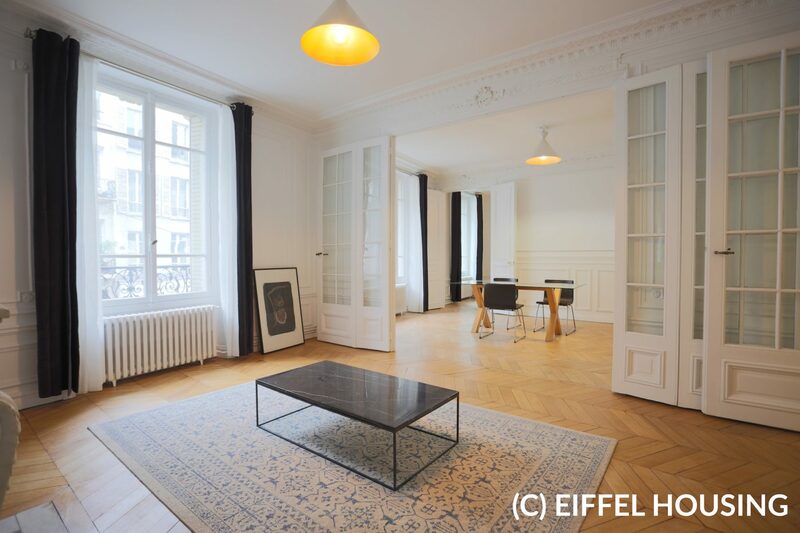 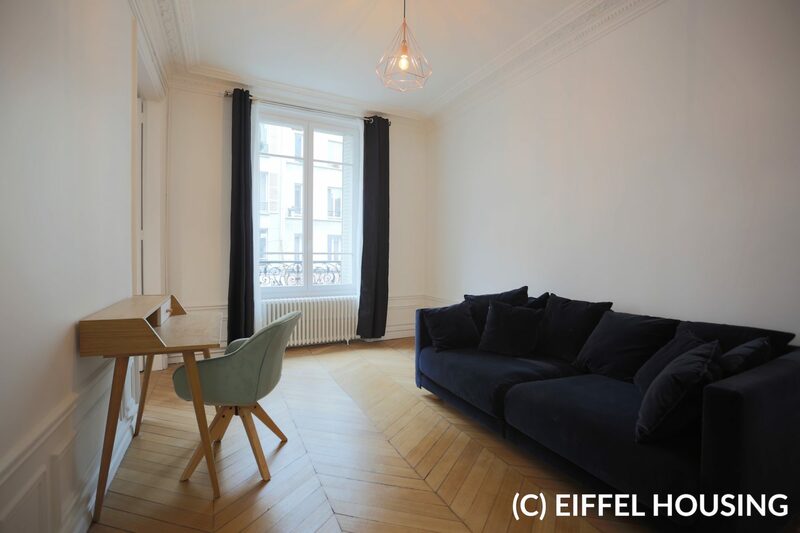 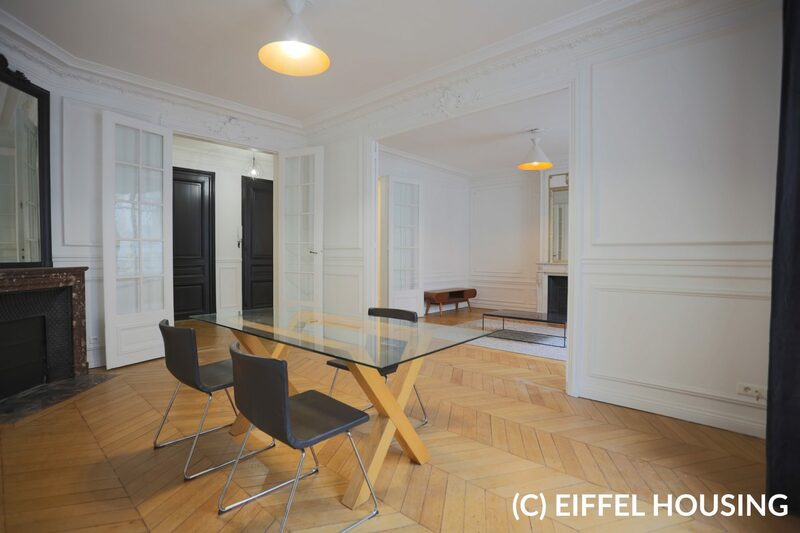 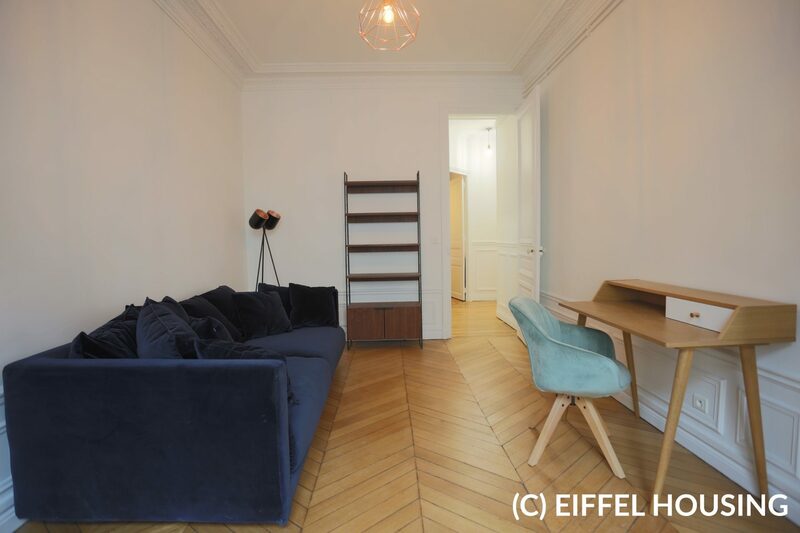 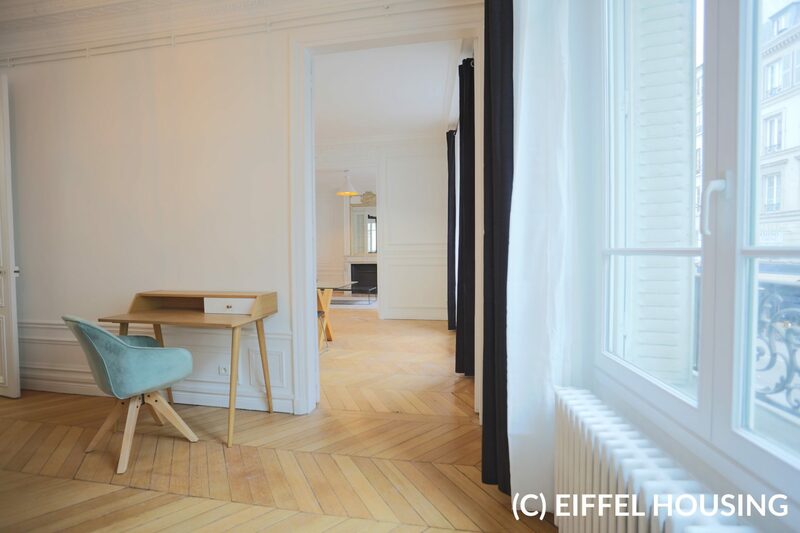 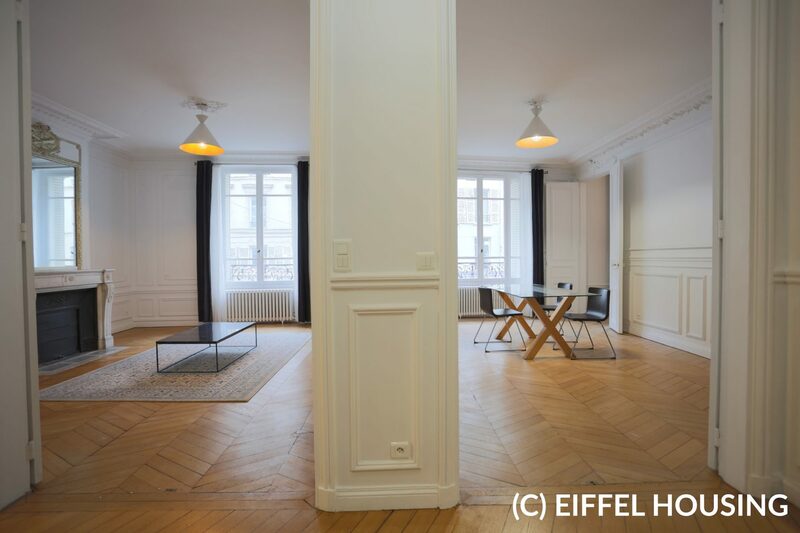 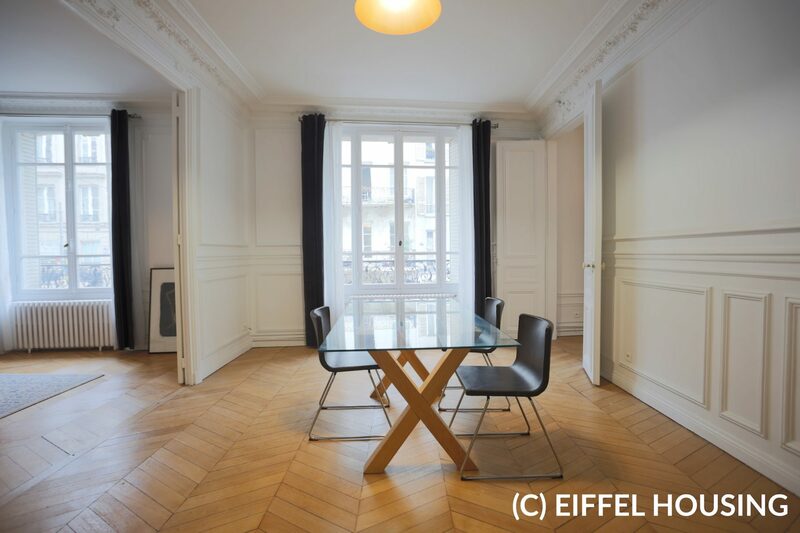 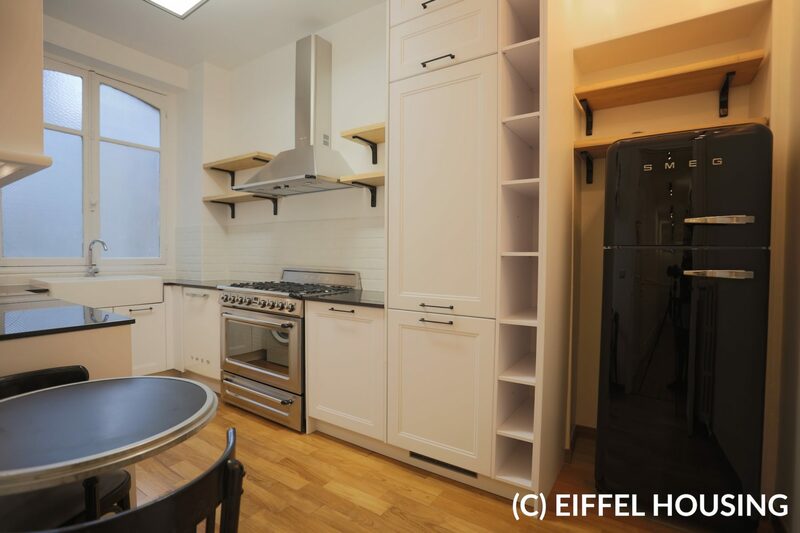 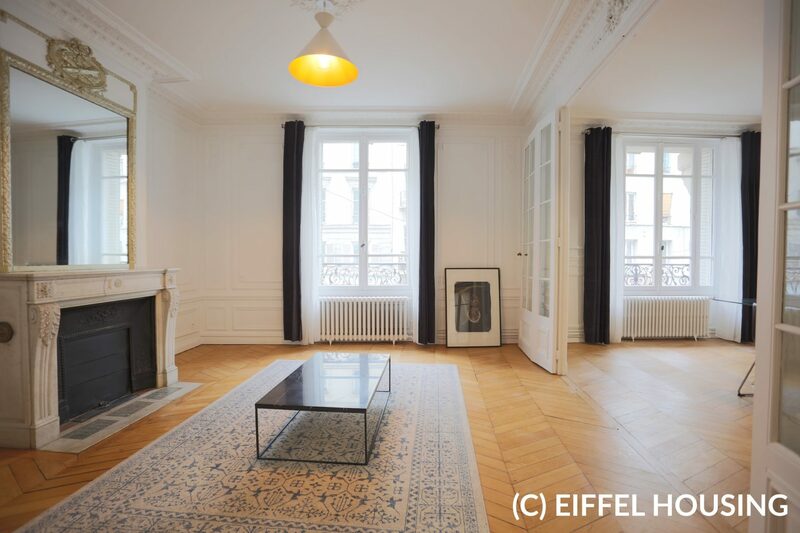 Renovated, high-standard apartment in a lively area of Paris, with hardwood flooring, fire places, high ceiling. 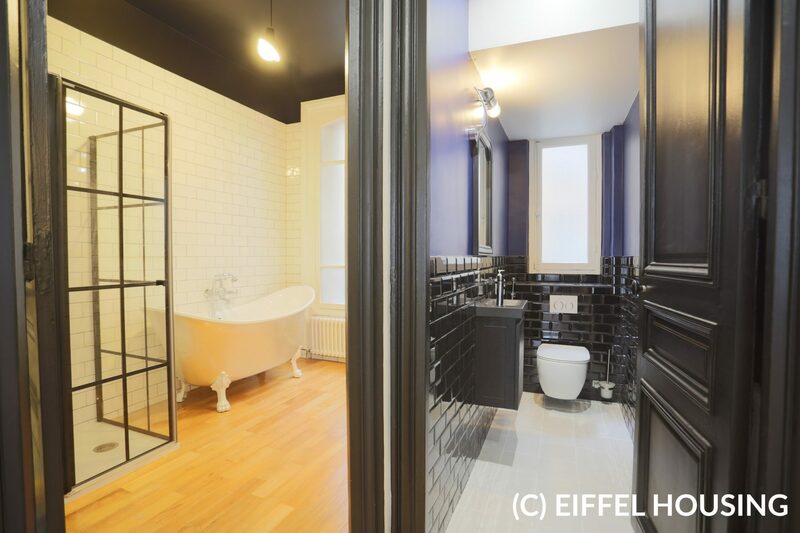 This first-floor apartment features a vestibule, a spacious living room, two bedrooms, one bathroom (with bathtub and shower), a separated fully-fitted kitchen, separated toilets. 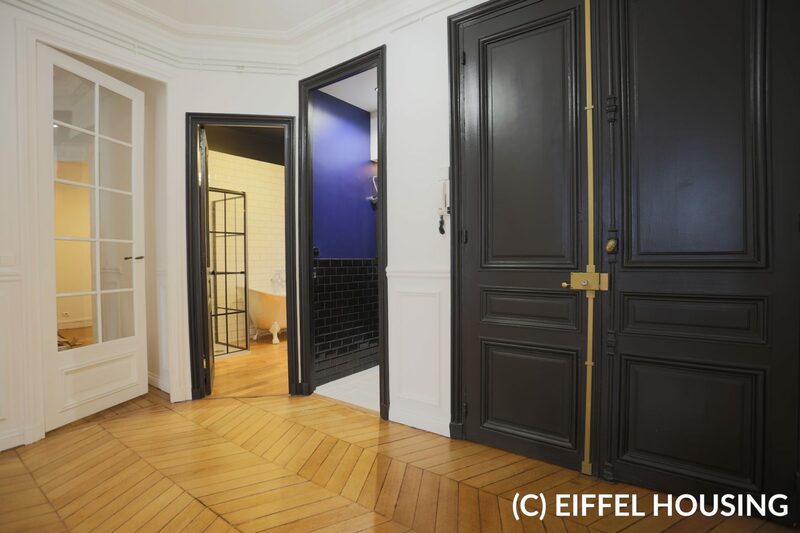 Lots of closets. 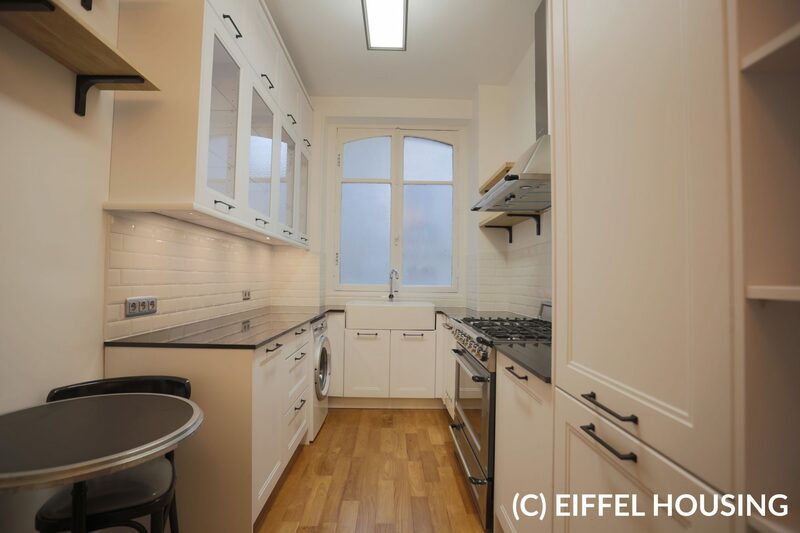 Heating and hot water : individual gaz.